I am sure many of you received emails with a "mysterious" capital "J" character in the sentences like "Thank you J". And I am sure many of you know the answer. But just in case you are still wondering what this means - here is the answer. You may have figured out from the context that "J" stands for a smiley face. And you will be right. But why "J"? After all it doesn't really resemble a smiley face. What does J mean in the email messages? Interesting! 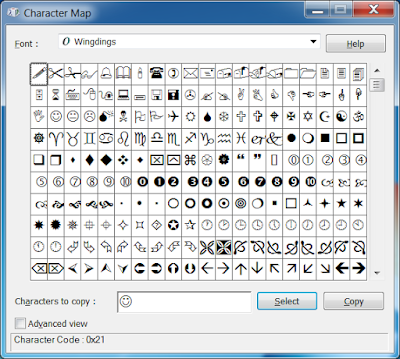 Where Outlook renders a smiley face we actually have a span tag, that switches to the Wingdings font. And that span contains a single capital J character. To understand what's actually happening here we need to launch a Character Map application built into every version of Windows. 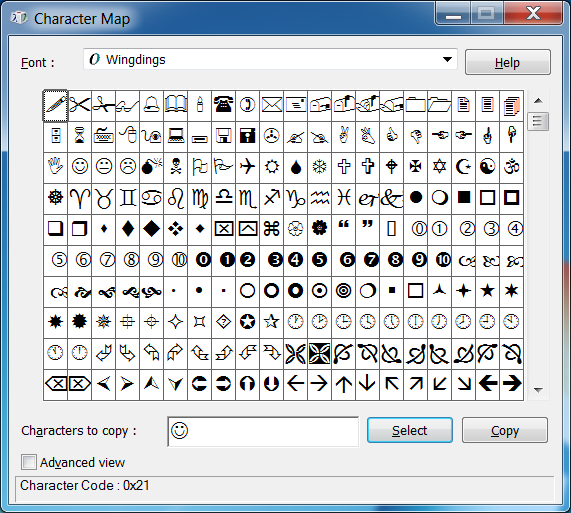 Let's select the Wingdings font there and type a capital "J"
Wingdings font - capital "J"
See the smiley face there? Now it all makes sense. It's Outlook's way of embedding a smiley face into the email body. I've seen this issue for quite some time, so this decision was made most likely before a wider adoption of the Unicode. Those email clients that support both HTML and the Wingdings font will render a smiley face properly. Sometimes HTML tags might be stripped out, encoding may change from server to server, Wingdings may not be supported etc - in those cases the end result will be a capital "J". So, now you know what this mysterious "J" means and where it comes from. Hope you've enjoyed this quick investigation.